Well it’s a wrap. 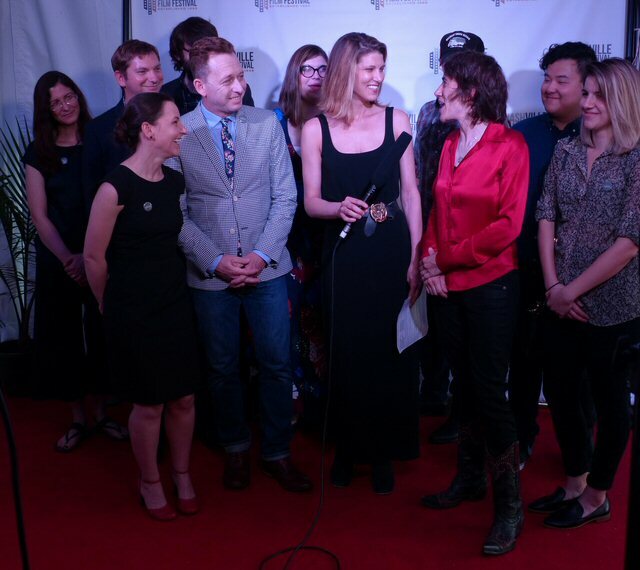 The 49th annual Nashville Film Festival that took place May 10 through 19, 2018 at the Regal Hollywood 27 Theaters (719 Thompson Lane, Nashville, TN) has concluded. The well-respected and well-ran event featured plenty of fine films along with a Creators Conference, Q&As, red-carpet appearances and a VIP tent ideal for networking. The Festival attracted those in the industry and fans. Many movies had their world premieres in Nashville with hopes of finding wider distribution. 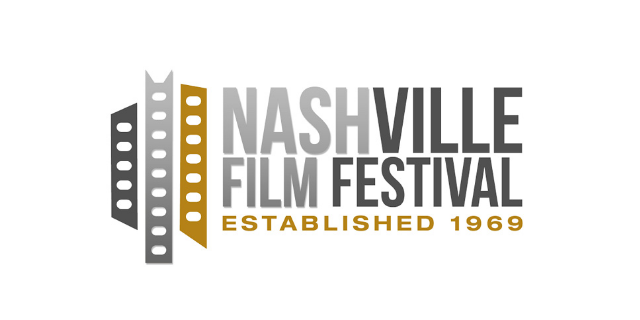 Initial reports indicate that the Nashville Film Festival enjoyed its most successful year yet in regards to attendance and revenue which should bode well for their upcoming 50th. Colin Hanks, Michael Franti, Rich Lynch and Josh Tuner on the red carpet. Along with full-length features, Virtual Reality 360 and short films were also showcased. Team MCN checked out a number of vibrant VR 360 segments. “If You Go Away” told a heartbreaking refuge story in 5 minutes. “Lion 360” put us in the center of a lion pride and “Micro Giants” was an immersive insect experience which included the sensation of flying. There were a lot of movies to choose from. Earlier in the week we focused on rock legends. Later we investigated what might be considered regional flicks such as It All Begins With a Song: The Story of the Nashville Songwriter. In some ways the title summarized the film that focused on Nashville’s legendary music scene. It was packed with insights and interviews. In the Q&A we learned that there was a total of 80 interviews and 100 hours of footage which means a lot of good clips were left on the floor – enough for a volume two of this educational and engaging documentary. Highlights included conversations with Garth Brooks and Brad Paisley who advised “write to a person” – relatability sells. Up and coming composers were warned that it could be years before they get a break and there are numerous ways to write a song either alone or when collaborating. Actor and director Colin Hanks appeared on the red carpet prior to the preview of All Things Must Pass: The Rise and Fall of Tower Records. Hanks also participated in a Q&A right after the movie. Colin should be commended for directing a compelling and comprehensive documentary. The picture opens with the dramatic statement that in 1999 Tower Records was making billions and 5 years later it was in bankruptcy. In chronological order Colin told the tale of a family business that sold records out of a small-town drugstore to a company that was a retail giant. Insightful interviews with Russell Solomon (founder of Tower) and other key employees explained how the California company evolved and eventually imploded. All Things Must Pass: The Rise and Fall of Tower Records also had star power. Bruce Springsteen shared his recollections of shopping at Tower as did Dave Grohl who once worked there. In the 1970’s Elton John was a regular customer at Tower who when interviewed was truly saddened by the tumbling of Tower. Colin effectively captured the spirit of Tower Records while conveying magical moments when buying music in a store was a mythical experience. Hotspot Nashville’s Esseri Holmes interviews the team from hillbilly. Director, humanitarian and musician Michael Franti was barefoot on the red carpet as he spoke about Stay Human which took viewers on an experiential journey through music and stories of some of the most inspiring people on the planet, who have chosen to overcome cynicism with optimism and hope – and reminding us all what it means to Stay Human – after all we are all citizens of planet earth. This screening was sponsored by The40PlusGirl. Ashley York and Sally Rubin both with Appalachian roots made hillbilly as a reflection of a region that has been widely misunderstood. Yet, the documentary went much deeper exploring stereotyping and the 2016 presidential election – one of the most divisive in U.S. history. We followed Ashely who currently lives in California back to rural Kentucky. The film points out that for much of our nation’s history there has been a division between urban and rural America. hillbilly goes on a personal and political journey into the heart of the Appalachian coalfields, investigating the role of media representation in the creation of the iconic American “hillbilly.” The film also featured open discussions within the filmmaker’s family, which found itself voting on both sides of the aisle. A key idea that stuck out to us was that the two big employers in York’s hometown was the coal mines and Walmart. When Hilary Clinton proposed replacing coal with clean energy it did not sit well in this community as who’s to say that those new clean energy jobs would have been there. Yet it’s the people of Appalachia who are living with the environmental impacts of the extraction industry which has left behind polluted waterways and erosion. hillbilly also revealed an eclectic set of activists, artists, musicians and poets as voices emerging from this misread region. hillybilly was a complex and contemporary look at how we see and think about rural identity in America while calling for dialogue between city and country communities. 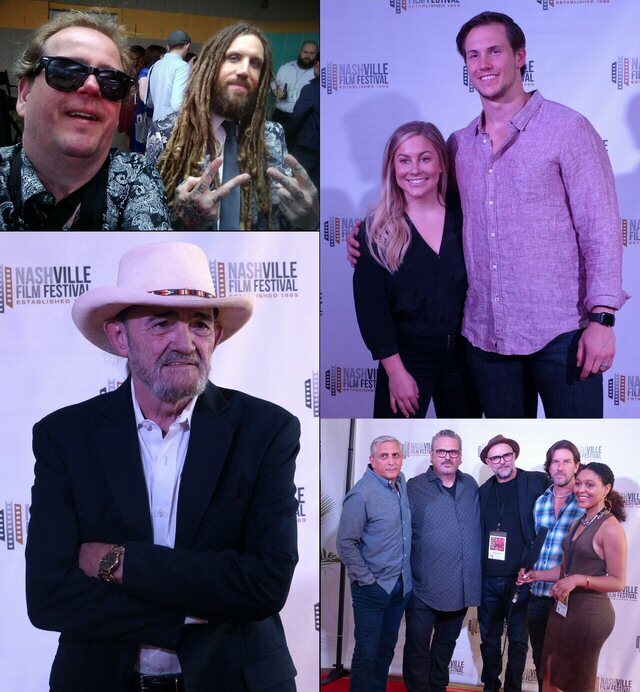 The 49th annual Nashville Film Festival at the Regal Hollywood 27 Theaters showcased an impressive list of films with many focusing on Nashville or other regions of interest along with a wide range of activities. With the positive results of this year event it’s probable that the 50th will be even bigger and better. Rich Lynch with Brian “Head” Welch of Korn, gymnast Shawn Johnson, Ray Stevens and producers from For the Sake of the Song in Nashville.